I don’t know how anyone could not love yard sales! It’s super fun to see all of the neat stuff that people have, but you can also get things for super cheap!! What’s not to love? This weekend, I went to yard sales for about 2 and a half hours. Much of that time was taken up by my mom talking to people she ran into as well. We weren’t at sales for long, but I found some awesome stuff! I wasn’t looking to buy anything really, especially because I plan to move soon, but I’ll show you what I did buy. 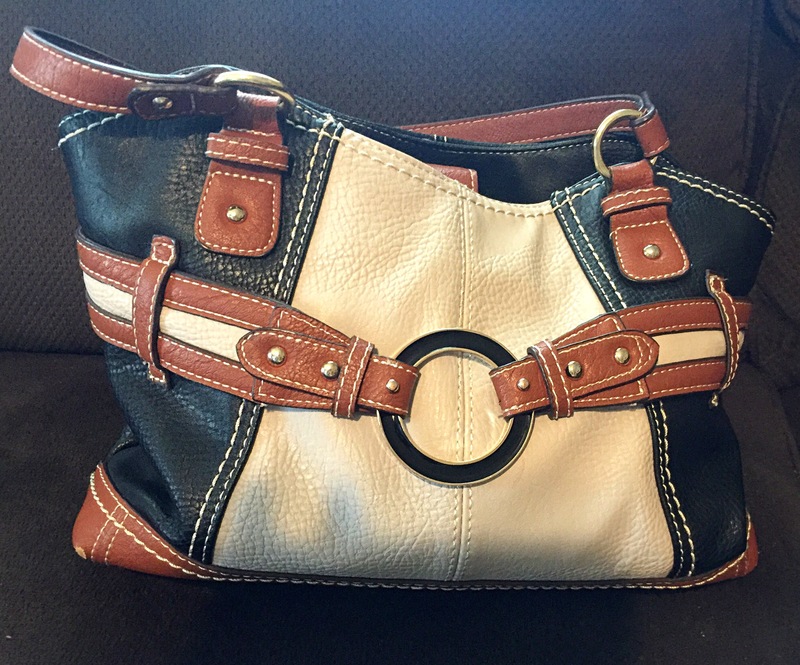 This purse was a dollar. ONE DOLLAR!! It’s in great shape. The magnet that latches the purse comes off, but I don’t need to have it latch and it’s an easy fix when I get around to it. I couldn’t pass it up for that price! I got all three of these shirts for a dollar each. This yard sale had a bunch of nice quality, cute clothes. 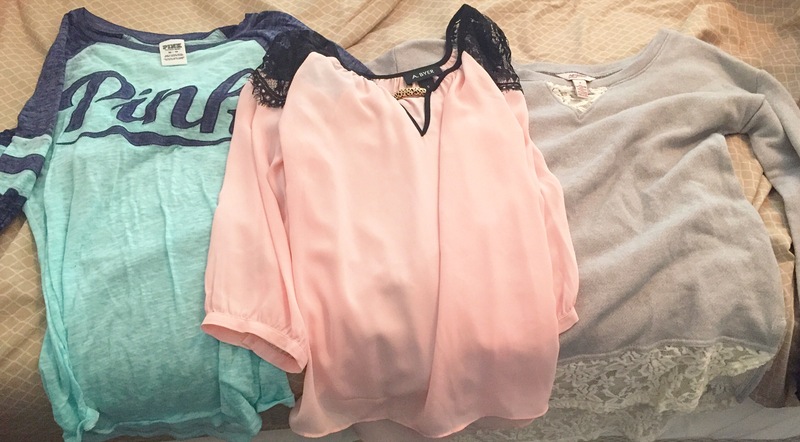 When you find a sale that has your size, you can find tons of great stuff to take home with you! If you were to buy these shirts in a store, they’d be at least $10 a piece, if not closer to $20. I spent $5 total at yard sales that day (I bought some cookies from a little girl… another bonus of many yard sales). My mom found a wooden wine rack that was priced at $20, but that she got for $15. That’s all she bought, but she was content! You never know what you could find! Seriously, if you like to shop or are in need of some things in particular, but are trying to save some money, take a Friday or Saturday morning this summer and hit some yard sales! If you haven’t missed your community/town wide yard sales yet, definitely find out when they are and go out on that day! We had over a hundred yard sales on the list in our little area. Happy shopping! I plan to have my own yard sale in a few weeks, so I’ll be posting about yard sales from a different perspective soon. Be on the look out for my post on tips for hosting a yard sale!